HUST has issued the following press release today detailing the background to their special resolutions due for consideration at the HFC AGM which takes place on Thursday, 6th December. The Trust presents these resolutions at the instruction of its members. Trust members have made it clear that they feel the Trust deserve fair and equal representation on the board of Hereford Football Club (HFC) (the Board). The statement provided by the Trust and distributed with the AGM pack outlines the reasoning why the Trust board strongly support these resolutions. We will limit ourselves here therefore to addressing some of the questions that these proposals will no doubt give rise to. 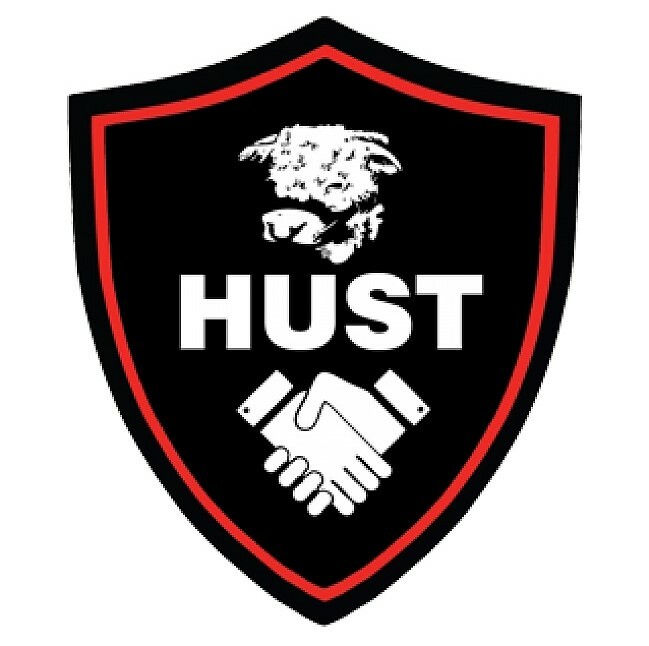 HUST has recently acknowledged that its directors are limited in how they communicate with the Trust. If this is the case what is the point of a fourth Trust nominated director? Recent events have certainly highlighted some limitations in the current model from the Trust’s perspective. This is a situation we are keen to address, and indeed are taking legal advice on the best way to do so. At the time of writing, we are hoping to be able to reach an agreement with HFC to enable our Trust directors to communicate more usefully with the Trust board and its members. This might take the form of a shareholders agreement, or memorandum of understanding. A further change to the articles of association is another possible avenue the Trust may need to explore. Whichever route is taken the desired outcome is the same. The Trust promises members ‘a greater voice’ and this needs to be a genuine and deliverable promise as HFC looks for supporters to provide increasing funds to support the ongoing progress of the club. The Trust’s intention is that the fourth director proposal will work hand in hand with a move towards improved communication between HFC and its supporters. Won’t HUST find it difficult to fill another director position? The chairman’s statement for the AGM draws the attention of shareholders to potential difficulties in recruiting and retaining volunteer directors. We note that during three short years the turnover of HFC directors has been rapid with 14 serving directors (8 appointed by the ordinary shareholders and 6 by HUST). It is important to note that in the Trust’s case the changes coincided with a planned recruitment campaign for directors. Nevertheless, 14 directors suggests that the problem lies in retention rather than in recruitment. Here we agree fully with Mr Kinnersley – clearly, there is a potential problem in retaining suitable candidates for the Board positions. We would suggest that the answers to this issue lie within the changes the Trust are proposing. Mr Kinnersley suggests that ‘criticism and abuse’ encountered by directors ,’generated by ignorance of the facts due to legal, confidentiality or privacy considerations’ is an issue for serving HFC directors. We very much agree that a lack of information available to supporters causes potential bad feeling between the club and its supporters. This is why the Trust are seeking an agreement with HFC to allow more transparent communication with the Trust and with supporters in general. We believe that putting suitable measures in place to allow for structured dialogue between the club and its supporters would go a large way towards addressing this issue. Mr Kinnersley also suggests that the workload on HFC directors is leading to ‘prolonged interference with family life.’ We would suggest that raising the number of directors to 8 can only assist with this. In short, we believe, that while recruitment for volunteer positions of any kind is always challenging, there should be no critical shortage of talented individuals to fill the roles of club directors. The Trust’s experience of recruiting HFC directors provided a small surplus of applicants who could be appointable as nominated directors. The biggest issue we believe lies in retaining candidates and making the roles attractive and fulfilling for serving directors once in place. We believe that in seeking to establish fair representation for supporters investing in the club through the Trust, and better communication between the club and its supporters, the changes proposed by the Trust at the current AGM, along with the further changes currently being explored represent the best solution to this very real problem. Would equal representation for supporters discourage further private investment? This is a question for the initial investors. The Trust believe that equal representation is simply an obvious and logical step towards aligning the reality with the promise of a supporter focused club that has always been the stated intention of HFC. Furthermore, we believe that if the Trust gains a further director this would assist with the Trust’s fundraising efforts for the club as supporters would feel more engaged with club life. We believe the ‘business case’ for equal representation is strong and we hope it will be welcomed by the initial investors for this reason. This resolution seeks to address the fact that currently the club board can act without the input, presence or approval of any Trust nominated director, by requiring at least one Trust nominated director to be in attendance for a Board meeting to be quorate. It is a simple measure intended to provide both the Trust and the ordinary shareholders with fair and meaningful representation and reflects advice provided to the Trust by Supporters Direct. The Trust wishes to act fairly to the ordinary shareholders so should the number of directors in the club be increased to eight and HUST gain a fourth director this amendment has further relevance, as it requires a representative from the Trust and the ordinary shareholders to be present for there to be a quorum. As the quorum for a board meeting is four directors this means that neither the Trust directors nor the ordinary shareholder appointed directors can make decisions without engagement with the other. These are further resolutions requested by Trust members. Article 16.2 currently states that the club’s name, primary playing colours and location should remain unchanged unless agreed otherwise by ordinary resolution (i.e. agreement of a simple majority of club shareholders). Resolution four proposes any changes should require a special resolution (i.e. agreement of >75% of HFC shareholders). This intended as a safeguard to ensure that these fundamental changes cannot be happen without the agreement of a large majority of shareholders. Resolution five also seeks to amend article 16.2 changing the current intention to remain ‘in the city of Hereford’, to a more specific requirement to remain at Edgar Street. This again is intended as a safeguard to ensure any relocation from Edgar Street requires the consent of a large majority of shareholders. The club AGM is on 6th December. The Trust will be holding an SGM shortly afterwards to discuss the results of the Trust’s proposals and potential next steps for the Trust.